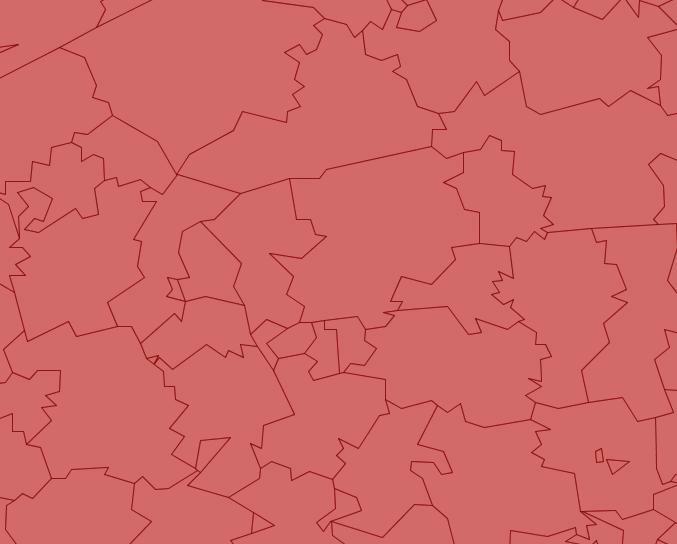 In a previous post, we described how we started using the Java Topology Suite (JTS) to manipulate postal/zip code polygons that we are viewing in an application built on MapQuest’s Flex API. Since then, we have added the ability to join multiple postal codes into territories. 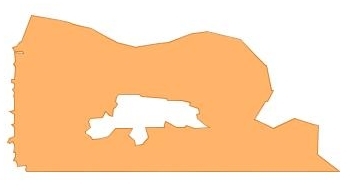 Sometimes over 1,000 postal code polygons will be combined to form a single territory. We ran into two significant technical hurdles. First, MapQuest’s API doesn’t support polygons with inner holes. So, a donut-shaped polygon would just look like a circle, with no hole in the middle. The other problem was that some of the postal codes were so complicated that the unify process would fail. If you read the other article, you saw that we did use JTS to simplify polygons (by reducing the number of points that make up the polygon). However, we didn’t end up using those in production because the edges of the simplified polygons would not line up. They end up looking like broken glass, because the simplify process had no regard for adjacent polygon edges. So, we set out on an adventure to simplify the polygons so that the edges of the simplified postal codes matched up. We received some very responsive and helpful guidance from Martin Davis, one of the principle developers of JTS. He also pointed us to the open source tool OpenJUMP, which he also helped to build. Source code from that tool was very helpful as we created our own automated simplification process. Read all of the WKT files, one per postal code, and store them as JTS Geometry objects in a collection. To support step six (below), we store the postal code in the geometry object using the very handy Geometry.userData property. That way, each original/source geometry remembers what postal code it represents. Use JTS to convert the polygons to merged LineString objects. This creates a collection of the outlines of every polygon, where the common polygon edges become a single line. Use JTS to simplify the merged LineStrings by reducing the number of coordinates that define each line. Our code iterates across every merged LineString and uses JTS’s DouglasPeuckerSimplifier with a simplify tolerance of 0.01. 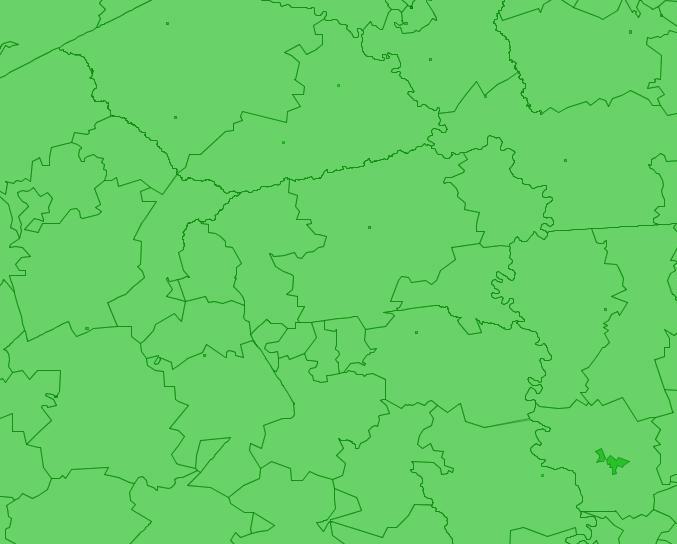 Use JTS to create polygons from the simplified LineStrings. The primary JTS class was the magic Polygonizer class, along with code from OpenJUMP that prepared the line data for the Polygonizer. Add each of the original polygons to a JTS SpatialIndex called STRtree. The STRtree provides a quick query interface to find polygons that fall within a spatial constraint. 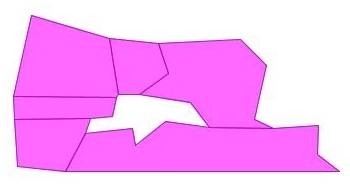 Query the STRtree to find all of the original polygons that touch the envelope (bounding rectangle) of the current simplified polygon. Find the polygon in that set which has the smallest distance between its center point and the simplified polygon’s center point. 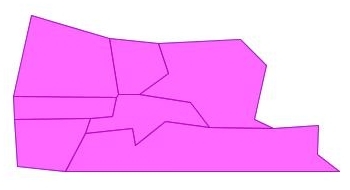 Once the best matching simplified polygon is found, we copy the postal code from the original Geometry’s userData. Some simplified polygons have no match in the original set because of holes, so those non-matches are thrown out in this process. Now that each simplified polygon has been identified as matching a postal code, we write new WKT files for each postal code. Our code that writes these files automatically creates MultiPolygon objects for those postal codes that are made up of more than one polygon. 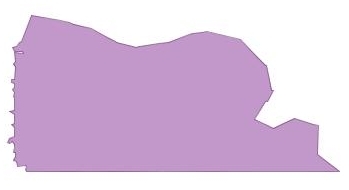 In order to create polygons that maintain any holes in the middle with MapQuest’s polygon API, we used JTS to cut a small slice between any inner features and the exterior of the polygon. This leaves a line in the middle of the polygon, but it’s more acceptable than no hole at all. Hopefully MapQuest will support polygons with inner holes in a later release. In fact, it would be really cool if MapQuest would incorporate other structures and features from JTS, including native WKT support. We are very grateful for the Java Topology Suite and the polygon processing it allowed us to complete. The project we’re building for Dave’s Endorsed Local Provider program will be much more successful with these improvements. This September 6-7 a group of us attended the BFusion + BFlex ’08 conference in Bloomington, IN. This was a free ColdFusion and Flex hands-on conference sponsored by Adobe, Indiana University, other business and local user groups. For BFusion, I participated in the Advanced ColdFusion track. There were some great sessions, but for the purposes of this post, I’ll just recap on two. Specifically those that were emceed by Elliott Sprehn and Mike Brunt. Elliott’s presentation on “Frameworks for SOA Platforms” walked us through a custom implementation, his “Shared Services Architecture.” The platform technology stack includes ColdSpring, Model-Glue and Fusebox, and your ORM of choice. Model-Glue is a popular ColdFusion framework that uses a MVC design pattern. Elliot is running a customized version of Model-Glue and basically using the Controller as an ESB of sorts. For ColdFusion shops who want to migrate to an SOA platform, check out Elliot’s presentation. Mike Brunt’s session on “ColdFusion in the Enterprise Space – Tuning and Clustering” was perfect timing for us. We’ve just purchased new web systems hardware and are in the throws of configuring it all and rolling it out. This was my first foray into Flex development. The first day really exceeded my expectations for a free conference and day two followed suit nicely. The session on event bubbling was really sweet – Flex has done this very nicely. The other presentation that interesting was “Extending Components.” I wrote my first Flash app with Remoting and some of the earlier components back in 2002. We all remember the Pet Store app that the Flash development team at Adobe (then Macromedia) put together. It’s cool to see how far they’ve come with the entire inheritance structure and extendability in Flex. Really slick. Silverlight has it’s work cut out. To sum it up, it was completely worth going to this conference. Not every session was not groundbreaking or applicable to our situation, but the ones that were valuable give me the confidence to recommend next year’s event to others (assuming there is one). Hats off to all of the speakers and volunteers WHO PAID THEIR OWN WAY to be there and put this on for us. It was amazing to know that they did that for those attending and really enjoyed being there. At one point I was looking for a vending machine to buy bottled water, and couldn’t find one so one of the guys from IU went to his office to get a bottle for me. Now that’s serving with excellence! Thanks for sponsoring and hosting such a high-caliber event and making it FREE for those attending! …oh and did I mention the LOADS of free books/products and free lunch? Flex, ColdFusion, Java, and BlazeDS: with JSON? We are building a sizable new Flex-based mapping application to support our internal Endorsed Local Provider program. We are passing a significant amount of data between Flex and ColdFusion. So, we architected a service layer that exposes the interface between Flex and CF, and are using BlazeDS to allow us to link Java-based data transfer objects (DTO) on the server side to equivalent Actionscript objects in Flex. I created a custom Java class that generates the Actionscript DTOs from the Java DTOs. We had no trouble sending Java objects to Flex with ColdFusion services through BlazeDS where the parameters passed from Flex were built-in objects, like Strings, Numbers, or Maps. However, when calling a method from Flex that passed one of our custom DTOs as a parameter, the server reported the following error: “Unable to invoke CFC – Could not find the ColdFusion Component or Interface”. It turns out that if you use ColdFusion services through BlazeDS, meaning that you are using the “cf-object” adapter in your remoting-config.xml, BlazeDS only links ActionScript DTOs with ColdFusion CFC objects on the server. You have to use the “java-object” adapter for it to link Actionscript DTOs to their Java counterparts, but then you have to build your entire service layer in Java, instead of ColdFusion. Here’s an example of the kind of objects we’re talking about. We have a service method called getPolygons(BoundingBox bb). Flex passes a BoundingBox object, which contains two LatLng objects, and the server returns all of the zip code polygons in that box. The key to BlazeDS’s ability to link the Actionscript to the Java object is the [RemoteClass(alias="...")] block. From ColdFusion to Flex, a BoundingBox or any other custom object is automatically serialized by BlazeDS and all is well. The problem is going from Flex back to CF with Java DTOs. To address this, we tried doing some enhancements to the built-in deserialization code, wrapping a ColdFusion DTO around a Java DTO, and decompiling coldfusion.flash.messaging.ColdFusionAdapter to figure out how to make it load Java DTOs. After weighing these ideas we decided to try serializing our Actionscript DTOs into JSON before sending them to ColdFusion. This turned out to be a relatively pain-free solution that maintained our desire to use matching objects on the client and server. Download JSON-lib and copy the .jar to WEB-INF/lib. The .jar I used is: json-lib-2.2.2-jdk15.jar. Download EZ-Morph and copy the .jar to WEB-INF/lib. The .jar I used is: ezmorph-1.0.5.jar. Download Apache’s Commons-Lang library and copy the .jar to WEB-INF/lib. The .jar I used is: commons-lang-2.4.jar. Download Apache’s Commons-Collections library and copy the .jar to WEB-INF/lib. The .jar I used is: commons-collections-3.2.1.jar. Copy the following JARs from WEB-INF/cfusion/lib to WEB-INF/lib: commons-logging.1.0.4.jar, commons-logging-api.1.0.4.jar, log4j-1.2.12.jar. With this solution, we’re seeing excellent performance and are maintaining the goal of passing Strongly-typed DTOs between Flex & ColdFusion through BlazeDS using a well-defined service interface. Java Topology Suite — Sweet! 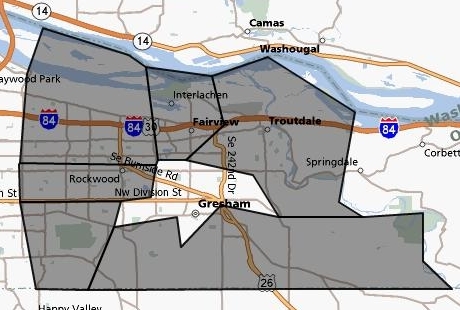 We have been building a sophisticated mapping application in Adobe Flex that enables our internal advisors for Endorsed Local Providers (ELPs) to visualize the regions that our partners cover throughout the country. We’re using MapQuest’s Enterprise API, which has a pretty robust ActionScript 3 library along with a nice Java library. We wanted to be able to display many zip code polygons on the map, and enable our advisors to click on a zip code and see the ELPs who cover that zip code, among other things. However, early in development, we found that the performance of the application suffered greatly when displaying a large number of zip code polygons. Reduce the complexity of the zip code polygons. 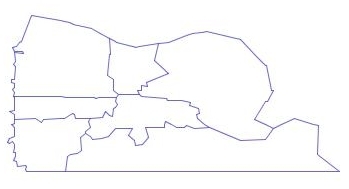 Combine zip codes with multiple polygons into a single polygon. Cache the resulting polygon definitions in our local database, as gzipped XML. After several failed attempts to accomplish these tasks, we found the Java Topology Suite (JTS), an open source collection of geospacial data manipulation tools created by Vivid Solutions of Victoria, Canada. While capable of many other things, we used JTS to unify multiple polygons into a single polygon, and to reduce their complexity. Extract the polygons from a MapQuest FeatureCollection to Well-Known Text (WKT) format. Create a JTS Geometry object for each polygon. Use JTS to create a GeometryCollection, then union the polygons with the Geometry.buffer() function. 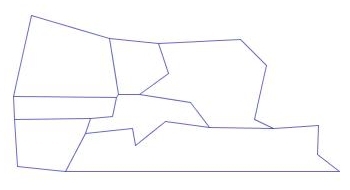 Simply the resulting polygon with JTS’s TopologyPreservingSimplifier.simplify() function. * Unifies and simplifies a MapQuest FeatureCollection using JTS. If you’re working with mapping applications, we’d love to hear from you. Leave us a comment and tell us about it.